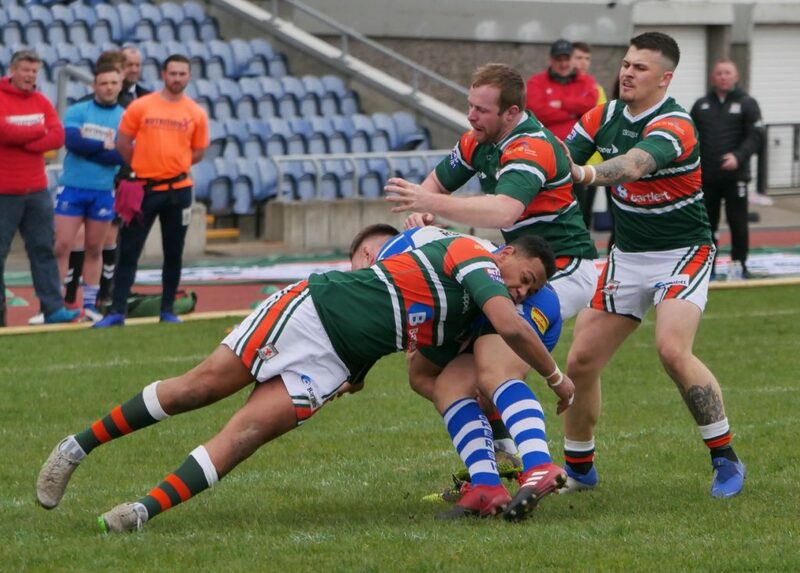 Halifax ended Hunslet’s hopes of a plum tie in the Challenge Cup 5th Round, defeating the Parksiders 24-28 in an enthralling and exciting game at the South Leeds Stadium. The hosts, unbeaten so far in League 1 wanted to test where they are at against a Championship side with quality, and can be pleased with the performance. But not with the result as this was a game Hunslet could foreseeably have won. The early knockings saw both both sides have good pressure on their opponents’ line, but defences were on top. 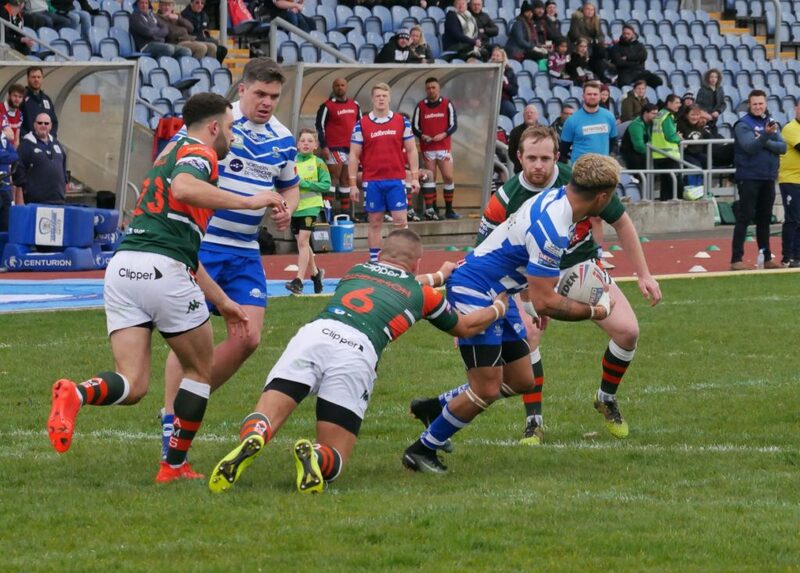 Just as Hunslet seemed to be gaining the upper hand, with a try ruled out for a forward pass, Halifax broke in midfield to score against the run of play. Woodburnhall’s try was converted to give the visitors a 0-6 lead. Pressure told though, and on 25 minutes Jack Lee scored for the hosts from close range. Moments later the impressive Nathan Chappell wrestled a loose ball and fed Reece Dean to sprint under the sticks. Dean in charge of converting left Hunslet 12-6 up. Halifax replied with some considerable pressure on Hunslet’s line, but the Myrtle, white and flame’s goal line defence seems excellent this season, and on 35 minutes a superb Reece Dean ball sent Gareth Potts over in the corner. Hunslet lead 16-6 at the break. Reece Dean stretched Hunslet’s lead to 18-6 with a penalty early in the second half before the momentum changed. With Hunslet firmly on top Nathan Chappell was penalised for lashing out on the first tackle. The resulting play saw Halifax score from a chip kick and at 18-12 the visitors were back in the tie. 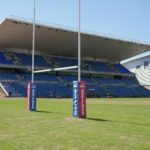 Things got worse for Hunslet when Nathan Chappell was sin-binned for a spear tackle and after three successive penalties Halifax scored to narrow the difference to 18-16. 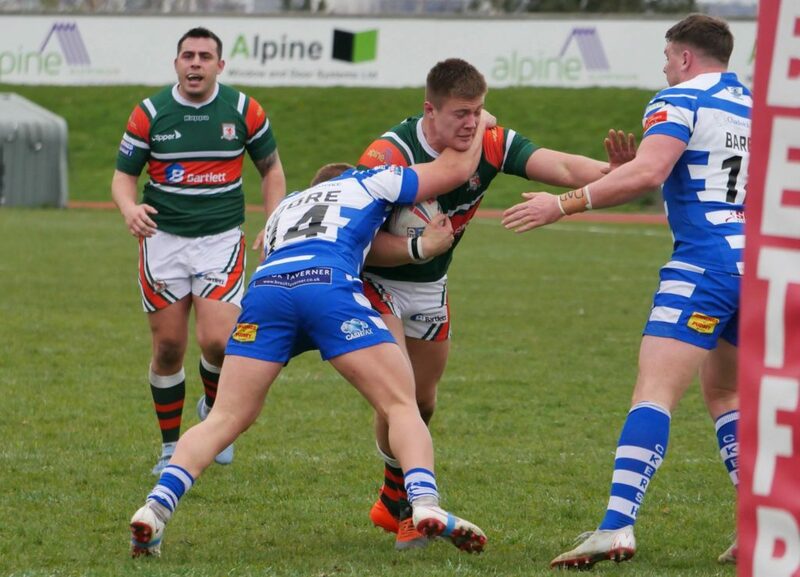 Halifax were now in the ascendancy, but from the kick off fumbled the ball and it was Hunslet’s turn again to attack. 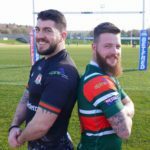 Halifax defended two sets of tackles admirably before Reece Dean slotted a penalty to make it Hunslet 20-16 Halifax. With Chappell now back on the field, we were in for a grandstand finish. But a towering Fax bomb was mishandled by the Hunslet defence and from the fumble Halifax swept up to score under the posts, 20-22 with only 7 minutes to go. 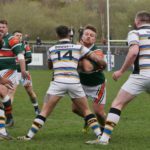 Any hopes of a late Hunslet victory were dashed when some frantic play saw Halifax again go under the posts to make the score (with conversion) 20-28. 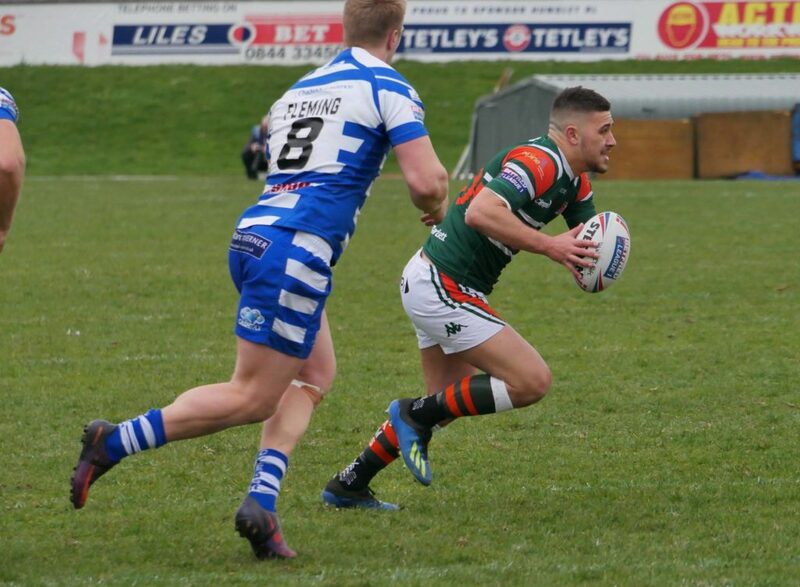 Nathan Chappell scored a late try for Hunslet sprinting 50 yards to leave the result in the balance. Rushing to convert, Reece Dean sliced a bizarre drop kick / conversion attempt meaning Hunslet still needed a try. From the kick off Joe Sanderson tried a chip and chase, but the Halifax defence cleared up and wound the clock down for a hard fought victory. 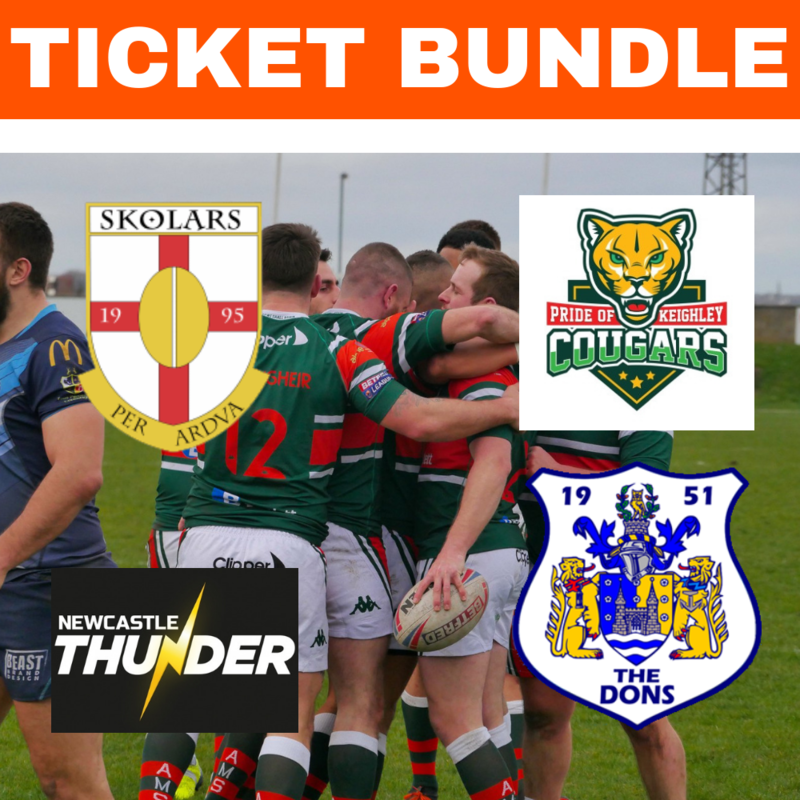 At the hooter the result was 24-28 to Halifax and they progress to the next round, but with a bit more big match nous, and the odd mistake being cut out it could have been Hunslet. Some notable performances today in Adam Robinson, Reece Dean and Mike Emmett who gave as good as they got against Championship opposition. 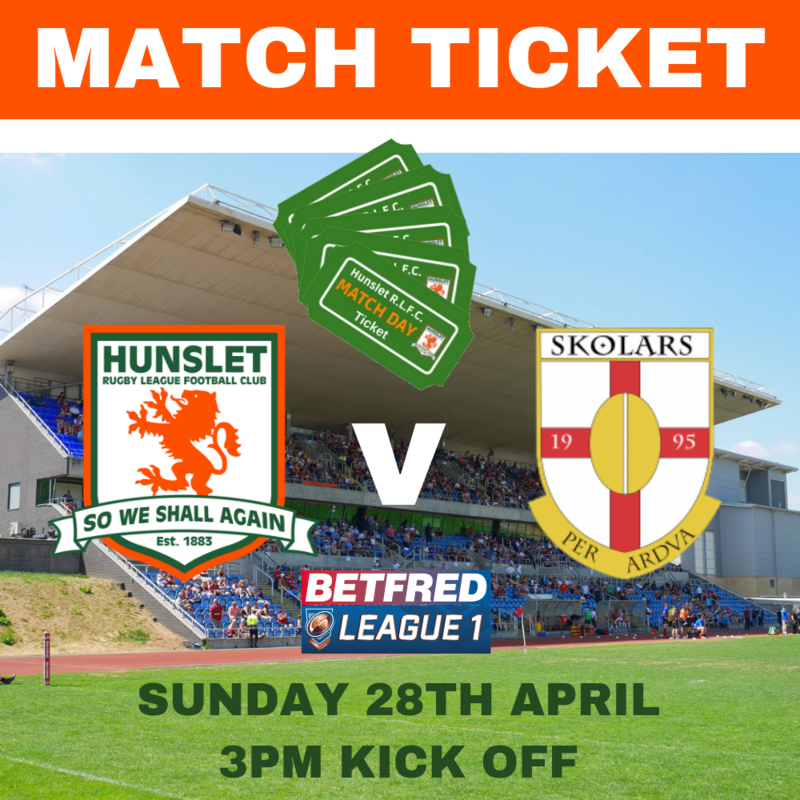 But Hunslet missed Duane Straugheir, who will be out for some weeks, and Ben Heaton and could do with seeing Heaton return for the next couple of league matches away at Whitehaven and Oldham. 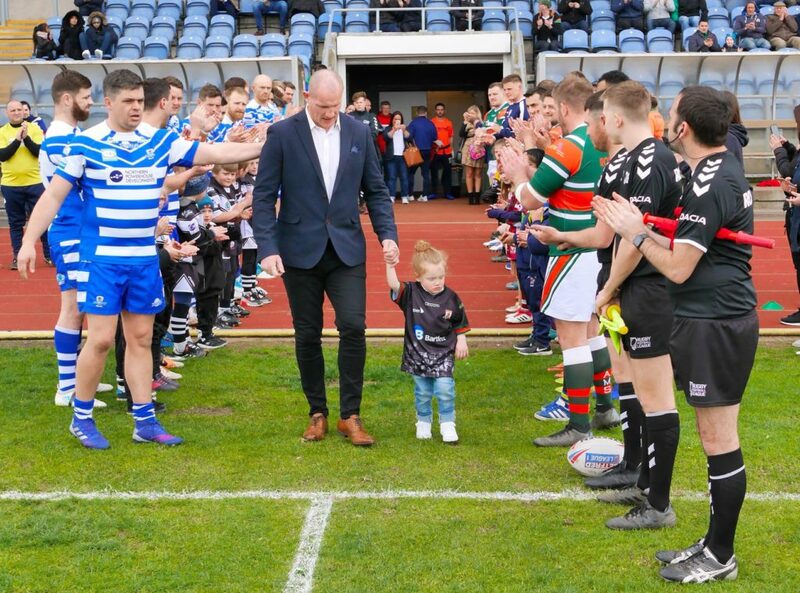 Hunslet RLFC: Jimmy Watson, Gareth Potts, Tom Ashton, Ben Heaton, Dale Bloomfield, Joe Sanderson, Jack Lee, Adam Robinson, Josh Tonks, Mike Emmett, Zach Braham, Dan Hawksworth, Nyle Flynn, Vila Halafihi, Reece Dean, Danny Nicklas, Nathan Chappell, Jon Luke Kirby, Charlie Martin. 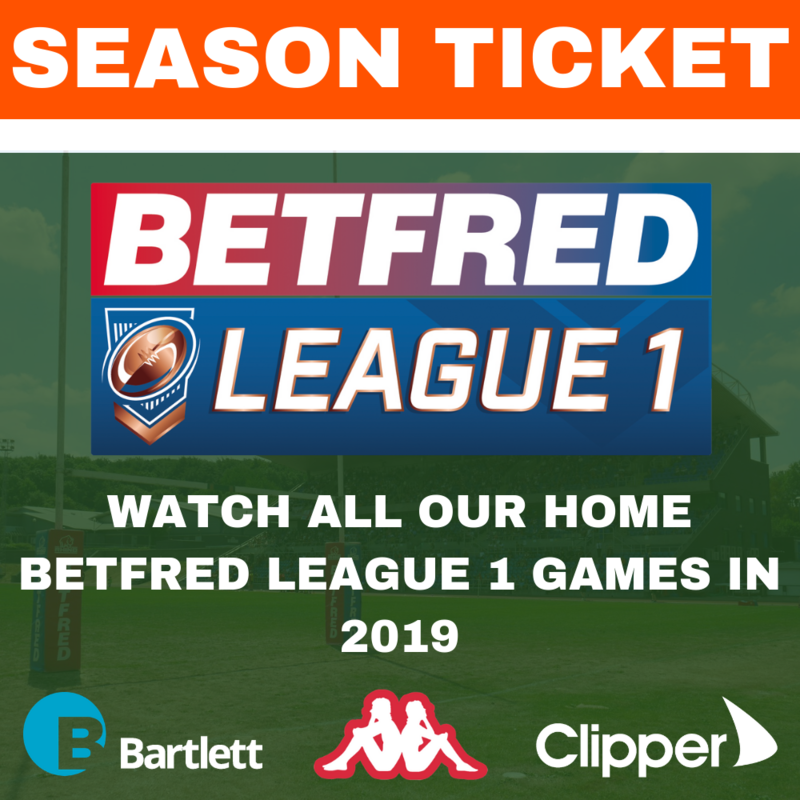 Halifax RLFC: Quentin Laulu Togagae, Shaun Robinson, Stephen Tyrer, Chester Butler, Scott Murrell, Daniel Fleming, Jacob Fairbank, Shane Grady, Edward Barber, Brandon Moore, Harry Kidd, Benjamin Kavanagh, Elliott Morris, James Saltonstall, James Woodburn Hall, Curtis Davies, Liam Cooper, Reece Chapman Smith, William Calcott.